Dr. Kenneth Henson came to us looking to develop a new website focused on showcasing his executive physical services that can be marketed to big firms across the nation. He currently has a concierge service here in Sarasota and was looking to expand on it by developing an innovative website that focused only on executive physicals. 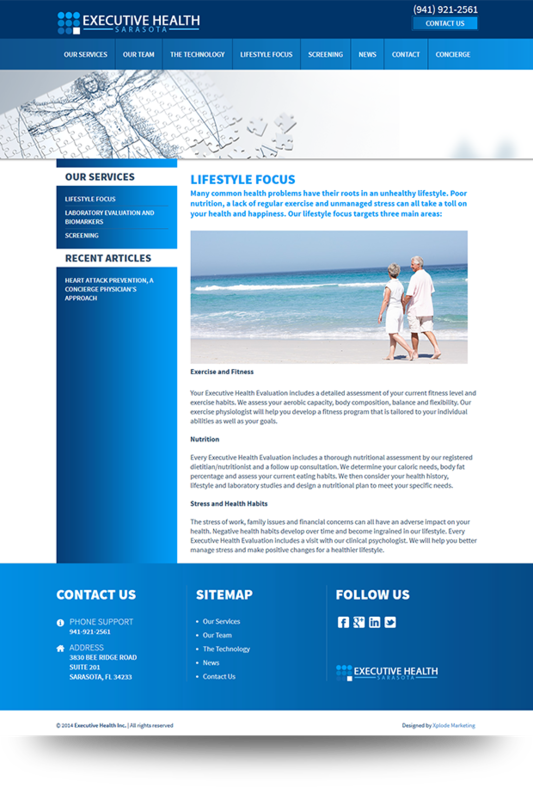 Dr. Henson has an innovative mind and wanted a website that was clean, contemporary, and high end. We had a great time designing this website. 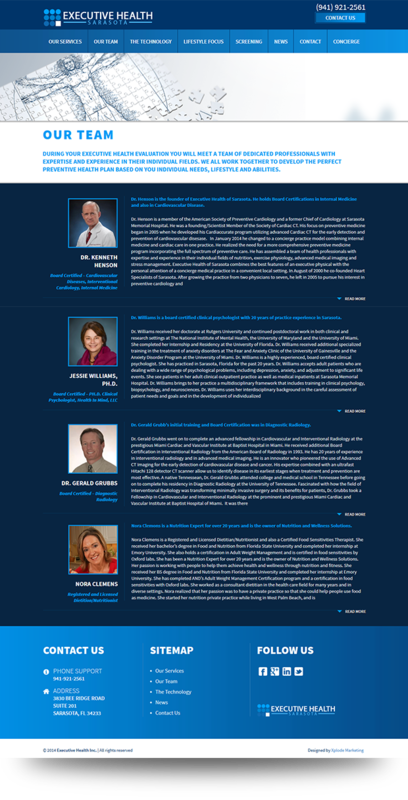 Xplode Marketing designed a high website that showcased Dr. Henson’s services as well as his team. The goal was to show how innovative he and his team were as well as push the customer to contact Dr. Henson or schedule a call. We integrated this website into a content management system that allows the client to update all pages including their products, services, coupons, blog, pages, video vault and more. We’ve also used our SEO skills to create a program that has allowed him to be on the top for all of their products. Dr. Kenneth Henson is a Sarasota based concierge doctor focused on Private Cardiology and internal medicine.